One of the most common mixtures of prescription medications is opioid with benzodiazepines, such as OxyContin ® (oxycodone) and Xanax ® (alprazolam). 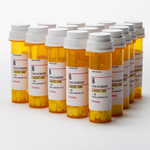 Both types of medications are highly addictive and carry the potential for overdose, especially when mixed together. A number of health officials called upon the Food and Drug Administration to add what are known as "black box" warnings to both types of medications, The Washington Post reports. The call to action came from 41 officials from municipal health departments across the country, and from universities, too. The black box warnings would inform people prescribed such medications that mixing the two can carry with it fatal consequences. It is no secret that the country is in the midst of opioid epidemic which the Centers for Disease Control and Prevention (CDC) reports is evident by the fact that 44 people die from opioid overdoses every day. What’s more, last week a study was published that found that overdoses involving benzodiazepines have quadrupled since 1996. "The science clearly demonstrates that this is a potentially fatal combination, when opioids and benzodiazepines are prescribed together," said Nicole Alexander-Scott, director of Rhode Island's Department of Health. "These kinds of black box warnings work. We know they do." When such medications are taken together they can depress the respiratory system to the point where patients will cease breathing, according to the article. Doctors may not be warning their patients of the potentials dangers associated with mixing anti-anxiety drugs with painkillers. The black box warning would provide an extra level of protection. On Monday, the FDA released a statement, which wrote that the agency “is committed to working with the health care community and our federal, state and local partners to help reduce opioid and benzodiazepine misuse and abuse. We will continue to monitor the combined use of these products and take necessary actions to ensure prescribers and the public are informed of the risks involved with the use of these medications."